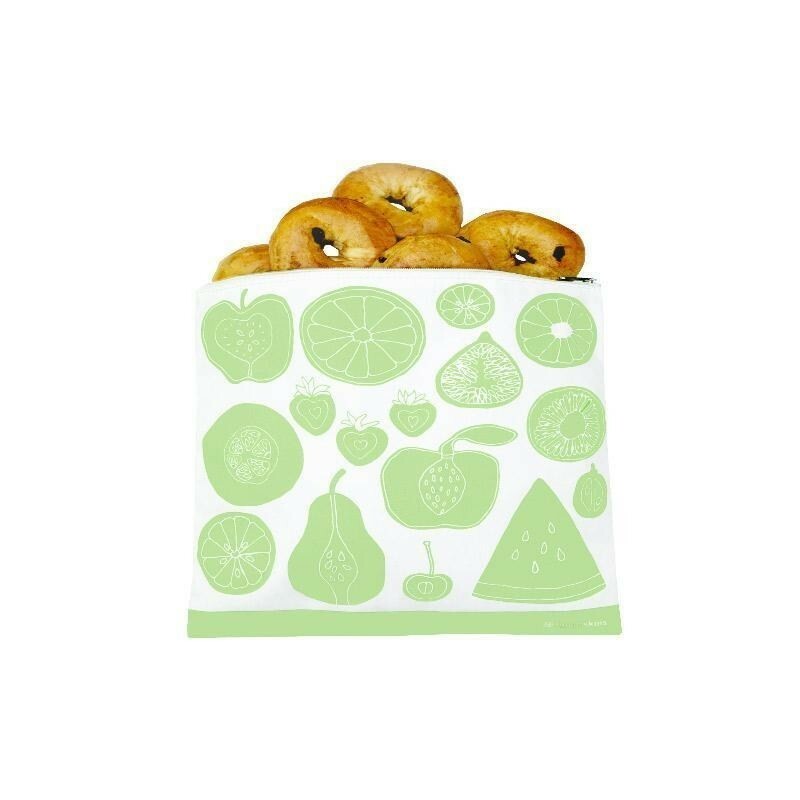 Lunchskins gallon zippered bags are a great size for storing vegetables, fruits, bagels, and more. 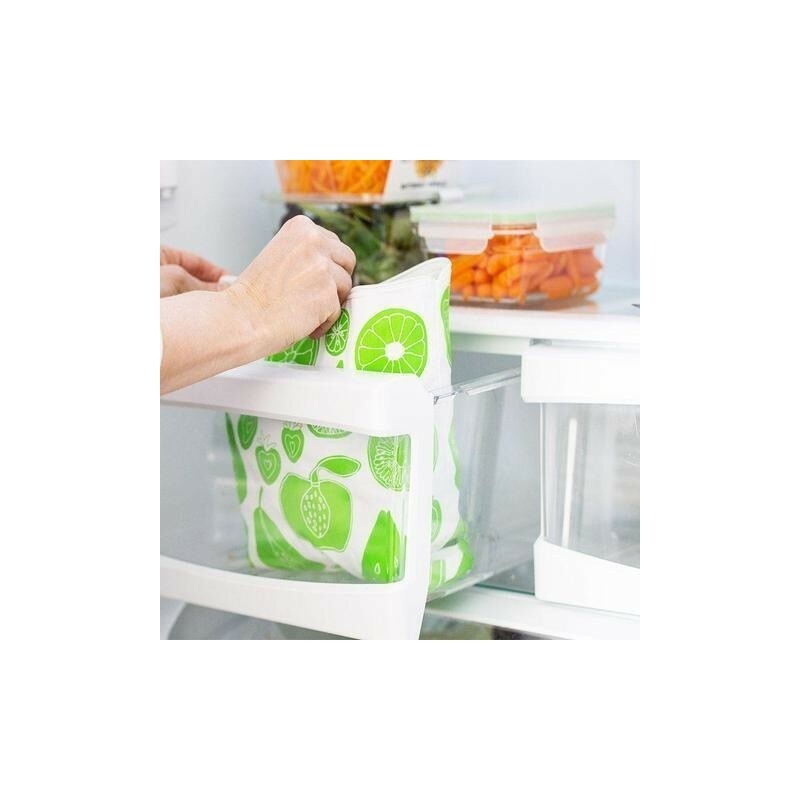 This gallon bag is perfect for refrigerated storage. Made from certified food-safe fabric, quick drying and lightweight. 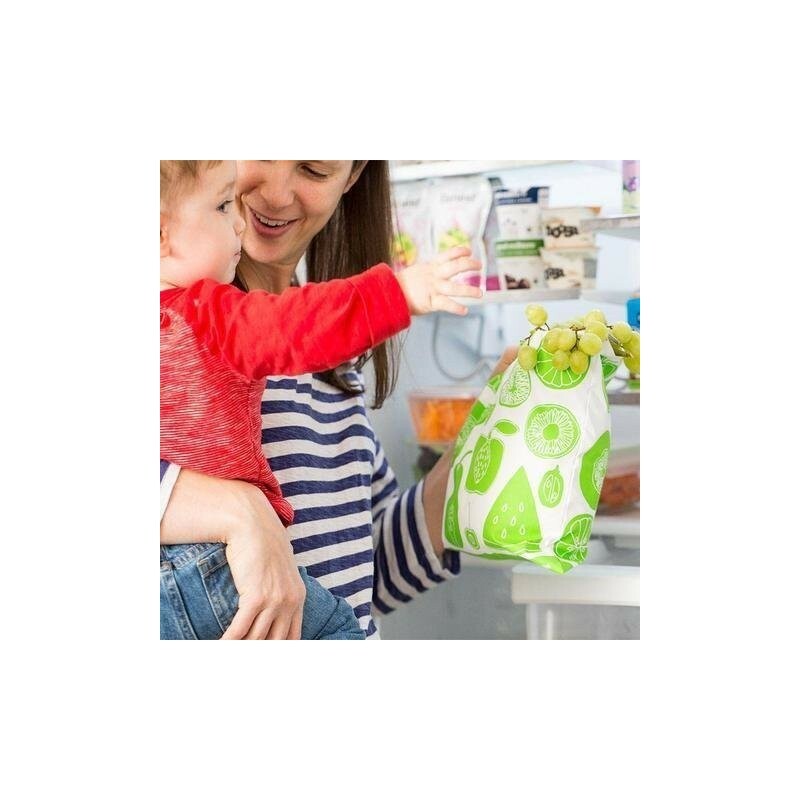 Lead-free, BPA-free and phthalate-free. 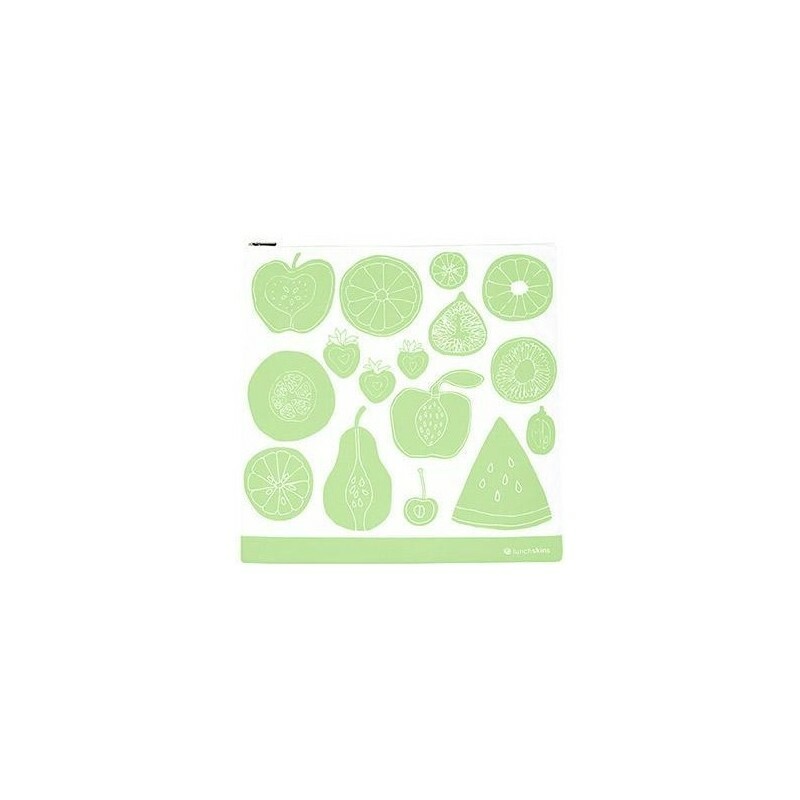 Green fruit design. 27.5cm x 27.5cm. 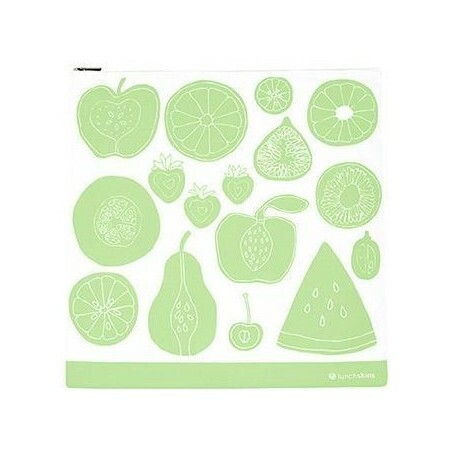 Can be used for storing vegetables, fruits, bagels, and more.